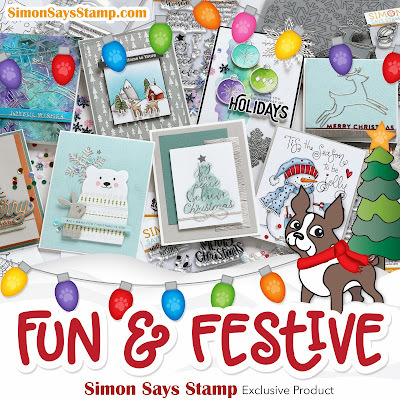 Paper Pawz: Simon Says Stamp Fun and Festive Release! 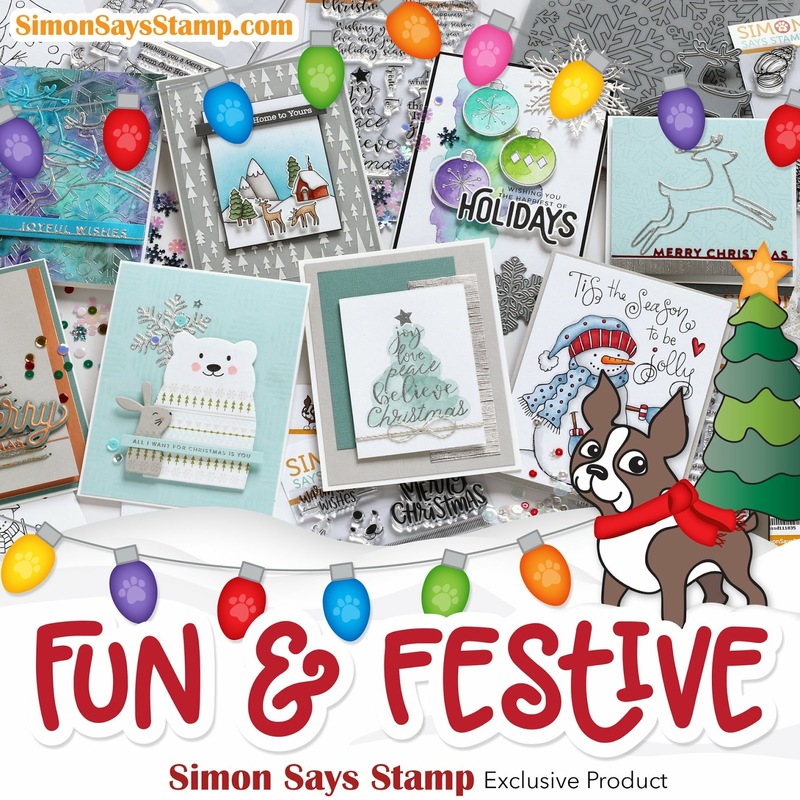 I got to play with the Tiny Words Christmas stamp set for my project. I decided to used most of the sentiments in the set on my panel. I used Lawn Fawn Vanilla Malt card stock and stamped the entire panel in Versamark Ink and then added gold embossing powder. I also used the fantastic heart from the Tiny Words Christmas set to give a little punch of color to my panel with Lawn Fawn Lobster ink. Once that was complete I trimmed my panel to angle it on the card base (also Vanilla Malt cardstock). I stamped the background using Delicata Gold ink and Lawn Fawn Lobster ink, I felt the card base needed a little something. 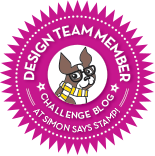 To top off my card I die cut the Simon Says Stamp Holiday Poinsettia (older Simon's release) from some Tonic Red Mirror Cardstock (mat) and I also die cut the smallest tag from the Simon Says Stamp Fanciful Tags. I stamped another sentiment from the new Tiny Words Christmas stamp set and embossed it with Ranger Red Glitter Embossing powder. 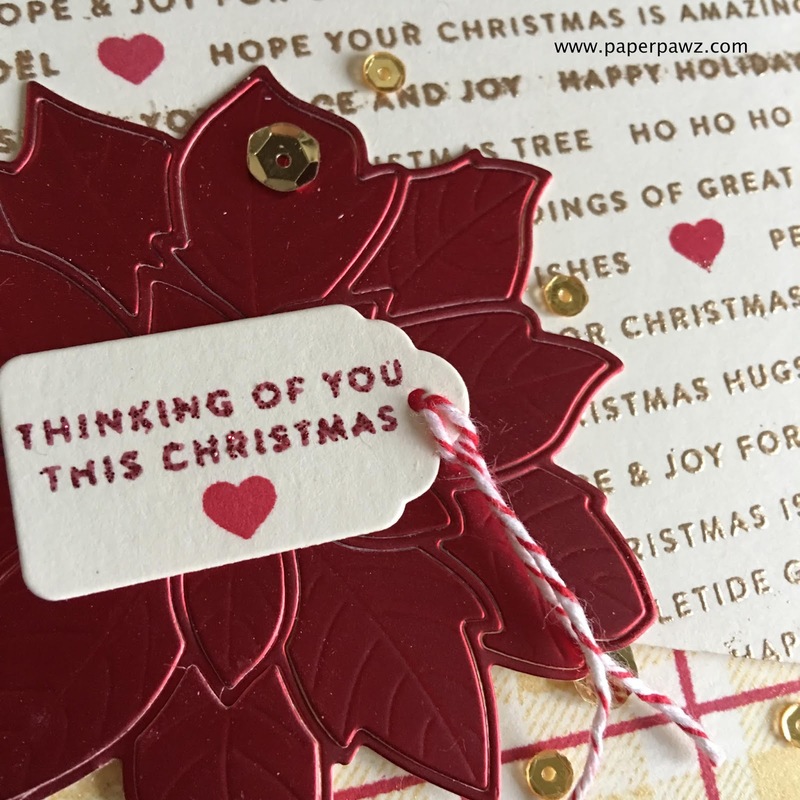 Stamped the heart from the Tiny Words Christmas stamp set once again and added to the centre of my Poinsettia. To finish off the card, I used gold sequins. Thanks for taking the time and go check out the fantastic new release!